ETA-i know that storywise, this was far from signifigant, but I rewound this little scene like ten times. 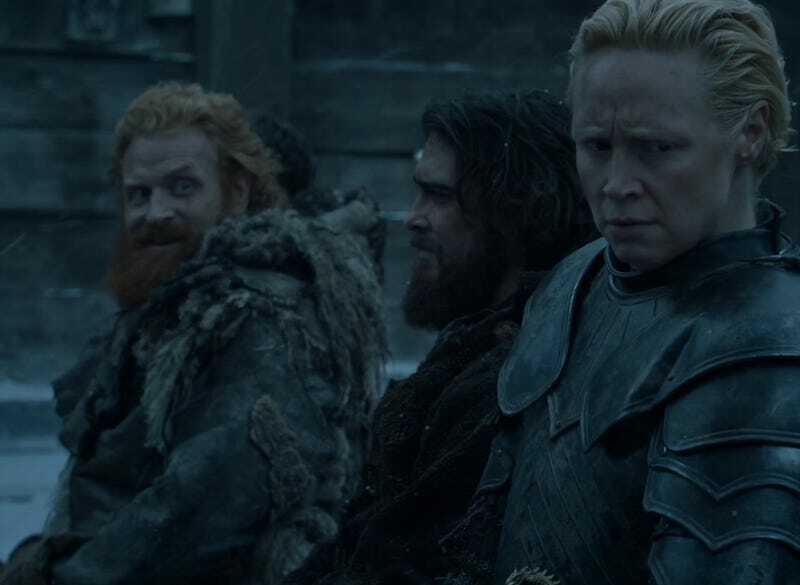 Tormund’s face goes from totally smitten gazing to a flash of “yikes she caught me” straight into “HEY BABY”, which is a LOT of stuff to push through a face full of beard. ACTING! i won sixty bucks on NyQuil. NyQuist? Whatever.